As middle-class Americans living our day-to-day lives, it’s easy to get preoccupied with our own problems. Where are my kids going to school? How can I get that promotion at work? I need to save up to buy my own place so I’m not burning money in rent. With all these issues going on in our own lives, who has time to think about someone else’s problems? Unfortunately, letting your own life and problems completely consume you is no way to live. There is a whole host of reasons why it’s better to let yourself care for a cause outside of your own little bubble, and today I’m sharing a few reasons why I’ve found that serving others, specifically at-risk inner city youth, can change my life for the good. In this post here I talk about how volunteering can bring meaning to your own life as well as perspective. Sometimes until we see someone else’s life with all their problems, it’s easy to blow our own out of proportion. You can have the right family, the right job, and the right house, and still be consumed with what you don’t have. The missing element in your life may not be more stuff, but more compassion. More perspective. More friendship. It’s definitely worth a shot. What kind of world will my kids face? The world is filled with hurt people who end up hurting other people. Problems like poverty and violence exist no matter how hard we try to ignore them. Chances are the brokenness in this world will end up touching one of your kids sooner or later. While you can’t fix everything, you can make a small impact and teach your children to do the same. What kind of legacy am I leaving here on earth? When you die, do you think you will be remembered for how much money you made or how many things you owned? How about for how many vacations a year you took? Would you even want to be remembered for those things? What are your kids going to remember you for? How much time you spent with them? That’s pretty good. How about how you had a heart of compassion for those less fortunate than you and how you sowed into the lives of inner city youth with your time and money, the two things that matter the most? That is the kind of legacy I want to leave for my kids. For Christians: how am I living out the mandate of the Great Commission? I know that many of us who live in these beautiful United States of America claim to be Christian. Is that just a belief, or do our lives bear testimony to that belief? Sometimes we need to do a little self-evaluation: am I living mainly for myself, or is helping others a priority in my life? Inner-city youth are hungry for the truth of God’s Word. There are hundreds of thousands of believers living in the city who could easily take a little time out of their lives to share the gospel with them, or donate money to organizations that do so. There are so many causes out there; so many excellent organizations and churches doing so much good. Ours is just one of many, but you are right here, right now, reading this. Maybe this is your time to change your life by changing someone else’s. 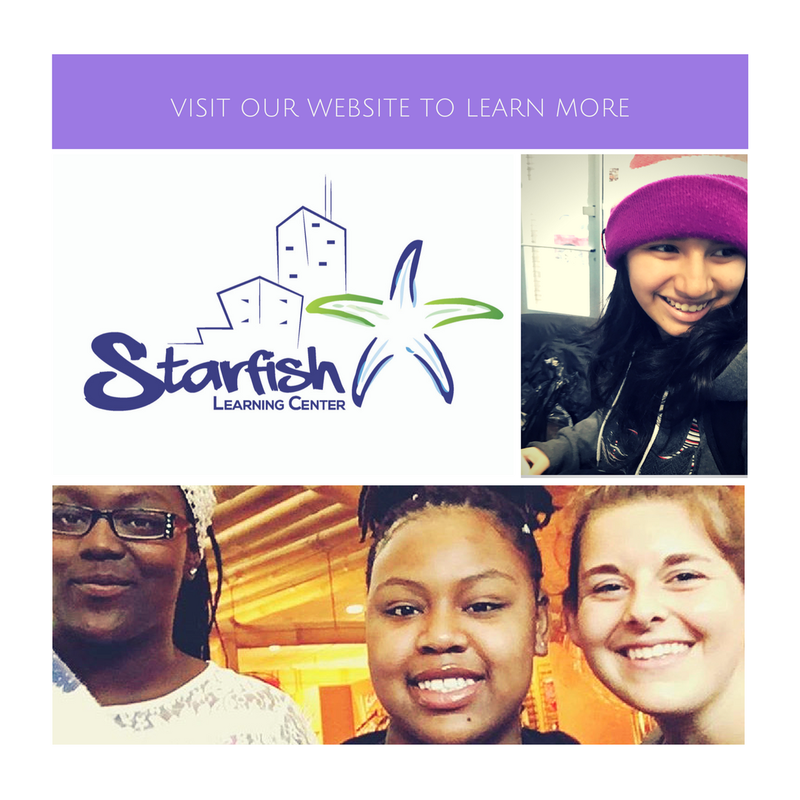 For more information on how you can change the trajectory of an inner city youth’s life, visit starfishchicago.org.